Please make a booking at least 24 hours in advance. The Japanese katana is often idealized as the deadly weapon of samurai. What might be not as well known is that the katana is not only a weapon but that it symbolizes “protection” both against physical and immaterial foes. 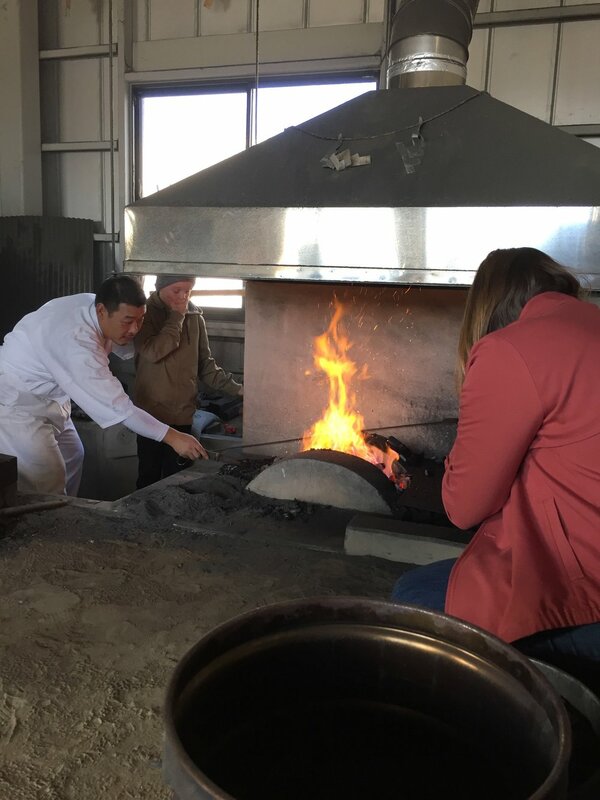 At Fusahiro’s studio, a special type of katana, the “mamori gatana” is produced, which is a talisman sword used in particular for spiritual protection. In fact, these swords were traditionally enshrined in Japanese homes to ward off evil and were part of various ceremonies and rituals for protective measures. Samurai, the warrior class, were expected to follow the codes of honor and ideals taught by the Bushido, “the way of warriors” in how they used katana, including the mamori gatana. During the Meiji period, special samurai privileges were taken away and samurai classes were gradually disbanded with the modernization of Japan. Then, after World War II, the manufacturing and martial art practices using katana were banned. As a result, many swordsmiths fell out of business, and the katana craft dwindled. These days, there are approximately only 150 swordsmiths in Japan due to the difficulty in getting a national certification and the aging population. Witness the creation of this powerfully symbolic sword with a Japanese swordsmith at this Hagane Katana experience. Learn about the history and philosophy of Japanese sword making and then watch a demonstration by Fusahiro. Next, get hands-on and experience forging the iron sand, tamahagane (gem steel/ jewel steel) with a hammer. Wrap things up with a photo session, posing with a completed Japanese Katana made by Fusahiro! 1 hour and 10 minutes if using Hokuriku Shinkansen. Otherwise, around 2 hours from Tokyo Station. The experience was amazing! The interpreter was super nice and good.